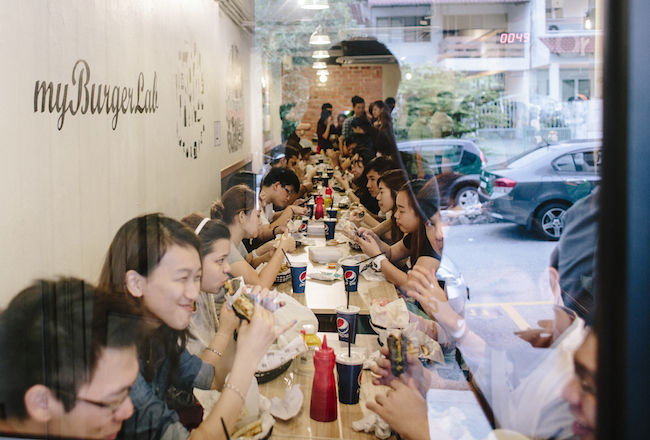 Cosy crowds at myBurgerLab. Photo by Adrian Yap. Sea Park, also known as Section 21, is my one of my favourite neighbourhoods in Petaling Jaya. Developed in the late 1960s, Sea Park and its neighbour Taman Paramount were once impressive compared to other PJ neighbourhoods. A bus depot (now a Caltex petrol station), a lake on the border of Taman Aman, two cinemas (one now a Giant Supermarket and the other abandoned) and even a standalone post office were the envy of neighbouring sections. However, neighbourhoods like SS2 and Section 14 quickly became more popular, leaving Sea Park and Taman Paramount relatively quiet in comparison. The shops are still old-fashioned: souvenir making stores carrying stock from the early 90s, elderly men running haberdasheries and optical stores and even a market still relatively small considering the size of the surrounding suburbs. It’s precisely why shop owners and vendors like Sea Park. 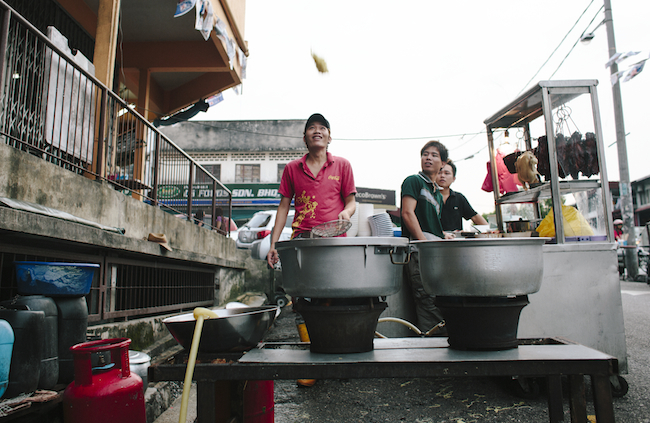 “It’s nice and quiet here, it has its own charm,” says Wai Leng, from the family who runs Soo Kee. RenYi of myBurgerLab agrees. “It’s a low profile neighbourhood and not too congested with eateries. Plus rent’s good!” he quips. These days though, it’s not as quiet as it used to be. Eating institutions have gained fame thanks to food bloggers and Instagrammers. Those from nearby offices throng the area, making it halfway impossible to get a quick lunch. By the time you get parking, your lunch hour is over and all you managed to tapau is the heady scent of leftover roasts and soups. So I set off extra-early one day to see what I could find in good old Section 21 – and I left poskod 46300 with a very full belly. Hor fun at Soo Kee. Photo by Alia Ali. Soo Kee has been serving up hor fun in this spot since 1982. 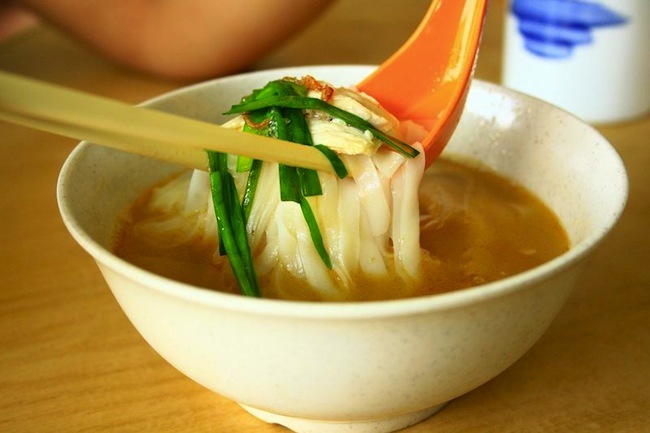 Their bowls are quiet perfection: thin and slippery hor fun noodles, slices of chicken so dense with flavour they taste almost sweet, and a thick, almost milky soup. 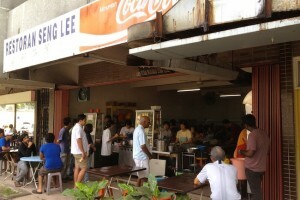 The patriarch of this family-run business used to work with the famous Lee Tong Kee near Petaling Street in the 1960s. Following advice from friends, he decided to open his own place in the suburbs. Years later, they still serve the best bowl of hor fun I’ve ever had. Have a cold? This is the soup you need. Bar none. 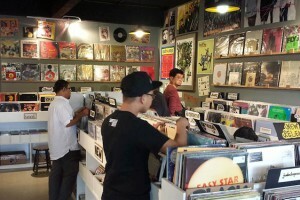 33, Jalan 21/17, 46300 Petaling Jaya. Opens 8.30am-2.30pm daily. RM13 for a bowl of hor fun, a plate of steamed chicken and drinks. 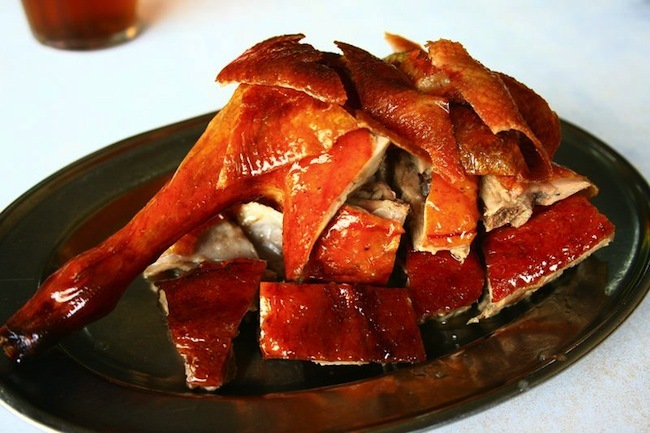 Sunrise roast duck. Photo by Alia Ali. Sunrise has a place inside the hearts of many duck lovers. 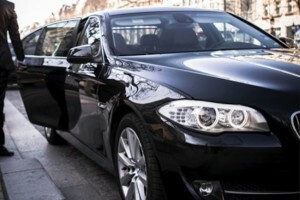 Late risers set alarm clocks to get there by noon, office folk slip out early for lunch. The patriarch of this family-run business, who declined to be named, still oversees the kitchen operations, making sure the ducks are basted and roasted to perfection. Moving about 40-50 ducks a day is no mean feat, especially since diligent attention is paid to each duck, making sure that the meat is just the right amount of juicy and the skin the right amount of crispy. Pair that with the interestingly sour soup on the side, they’ve managed to convince even those who don’t usually eat duck (read: me). They’ve had since 1981 to get their roast duck right, and I think they’re doing a fine job. 31, Jalan 21/12, 46300 Petaling Jaya. Opens 11.30am til sold out, closed Mondays. RM17 for a quarter portion of roast duck, rice and drinks. 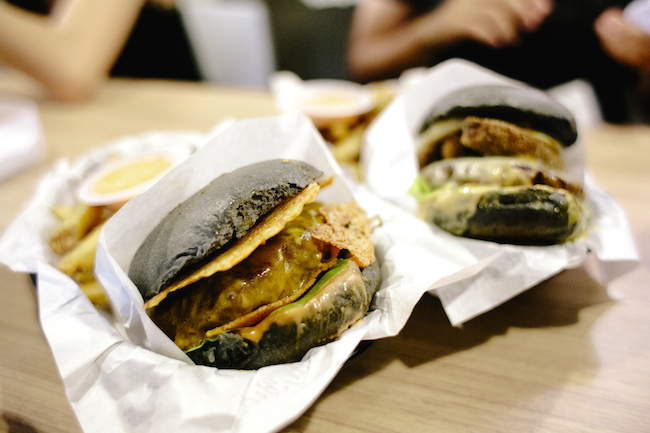 myBurgerLab burgers. Photo by Adrian Yap. Around 4.30pm on a good day, a line starts forming outside myBurgerLab. They’ve been open for just under a year now, and the queue still hasn’t let up. It’s gone on to spawn a whole host of suburban burger joints, each one trying to best each other with uncommon toppings (wasabi, anyone? ), charcoal buns and the best beef for your money. RenYi, co-founder of myBurgerLab, says they move about 550-600 burgers a day. If you’ve had even a bite of their stuff, you’ll wonder why the lines aren’t longer. In this tiny shoplot, beef is grilled to juicy goodness and topped with luscious combinations of good ingredients. Try the A++ for starters, which is an upgraded version of their best-selling A+ cheeseburger. Or dive right into another favourite, Beautiful Mess: soft mushrooms and a gooey sunny side up egg top this deliciously drippy combination. Just don’t wear white. 14, Jalan 21/22, 46300 Petaling Jaya. Opens 5pm-10.30pm, closed Mondays. 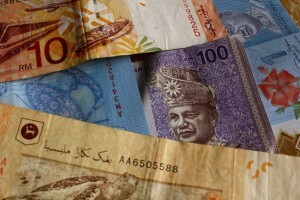 About RM20-25 for a set of burger, fries and soft drink. Flying Wanton Mee, where the noodles are an aerodynamic feat. Photo by Adrian Yap. The noodles and wantans themselves are pretty tasty, though I’d have preferred the char siu juicier. Nevertheless, it’s a great supper spot and fits the bill when you’re hankering for noodles. Plus Mr Lee is right to toss the noodles so high – texture-wise, these may be the most springy noodles I’ve had in a while. Jalan 21/22 (right outside the market complex), 46300 Petaling Jaya. Opens 6pm-11.30pm, closed Sundays. RM6 for a plate of wantan mee with char siu and wantan soup on the side, plus drink. Nasi Lemak Bambung. Photo by Adrian Yap. 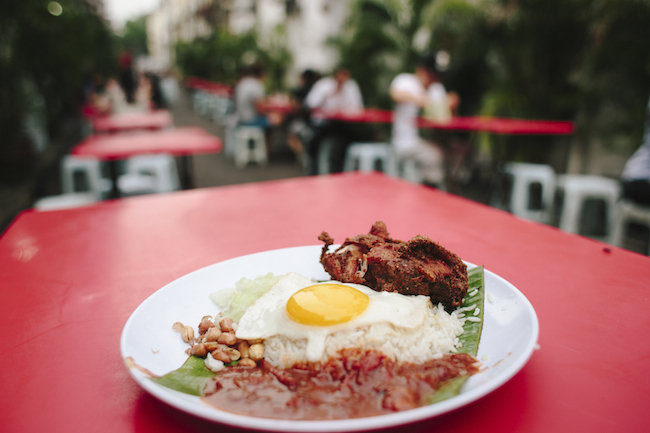 If you’ve still got space, Nasi Lemak Bumbung is the place to round off your palate. In business for about 20 years now, it opens once the shops around it close for the day. Tables are set up along the back alley, your dinner lit by streetlights. The food itself is prepped on what is essentially a wide sidewalk-turned-outdoor kitchen. At least half a dozen men are rushing around at any given time, pouring drinks into cups of ice and messily plating up nasi lemak. The nasi lemak is one of the best I’ve had this side of town, the texture of each component worked out to a science. The cucumbers are shaved thin, the sambal a great balance of sweet and spicy, and the battered chicken crunchy on the outside and silky smooth on the inside. Eggs are all telur mata and fried to order, topping off your nasi lemak or their other specialty, Indomie goreng. Jalan 21/11B (behind Maybank), 46300 Petaling Jaya. 5.30pm-4am, daily. RM8 for nasi lemak ayam goreng and drinks.